Best baklava in the city! Dine-in with the locals or take-away! Baklava is a traditional dessert that is made of many layers of filo filled with chopped nuts such pistachios, walnuts, almond and hazelnuts and held together with honey or syrup. 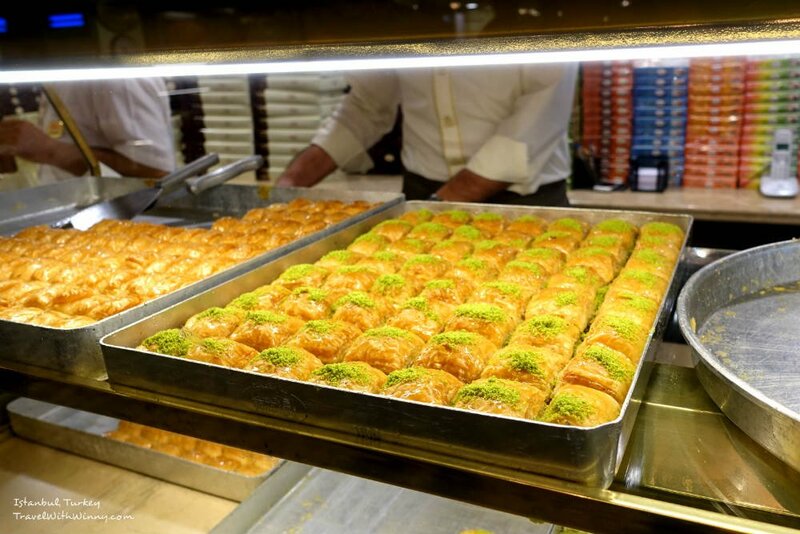 According to history, baklava was developed from the imperial kitchens of Topkapi Palace during the Ottoman Empire. It is also a common dessert in Greece, however Greek version supposed to be made with 33 dough layers (years of Christ’s life). Baklava: A sweet pastry made of layers of filo filled with chopped nuts and sweetened and held with honey. 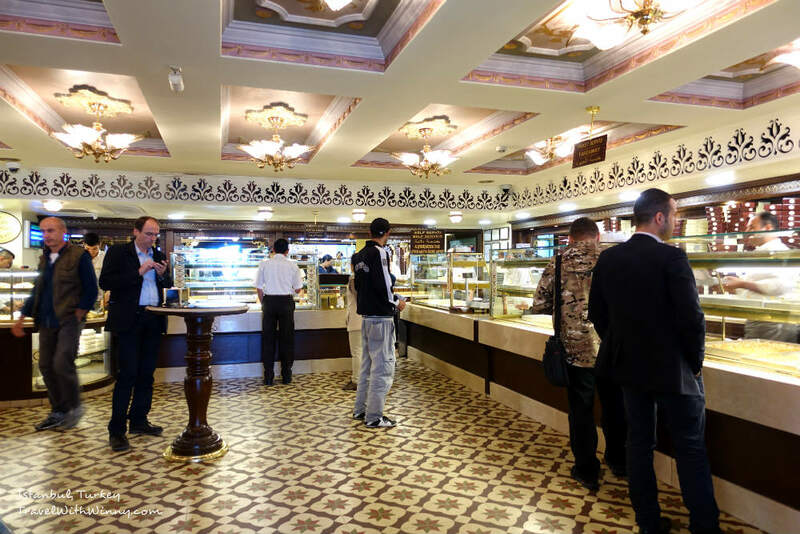 The best baklava in Istanbul is at “Karakoy Gulluoglu“, a company that has been opened since 1820. They only have one store in Istanbul (except for the factory), which says a lot about their quality. 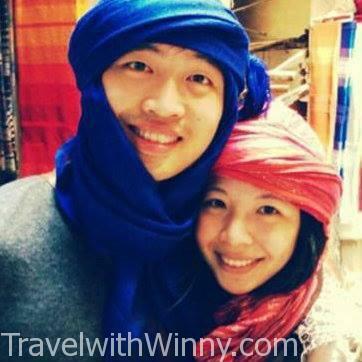 Their website is very easy to navigate which suggests you how to reach their by sea, public transport and car. The location is near Galata bridge which is a pleasant walk after a visit after Galata Tower in Beyoglu. Karakoy Gulluoglu: Doesn’t have other branches. 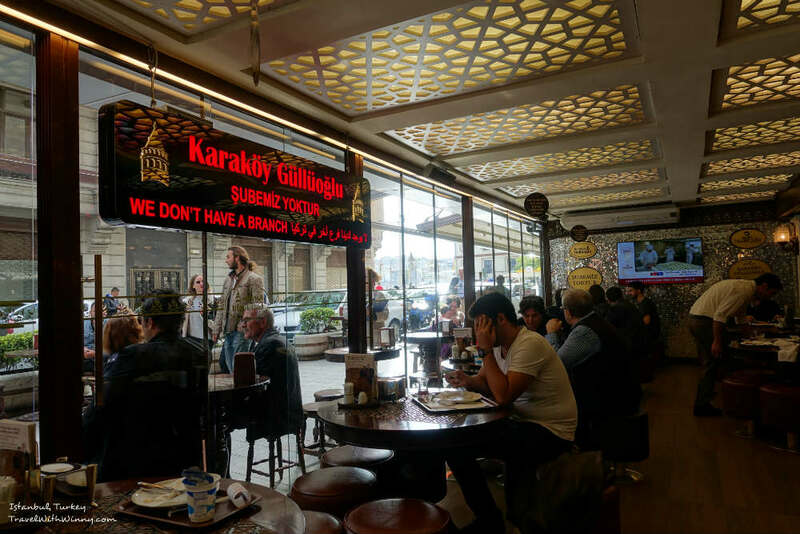 Karakoy Gulluoglu may be a bit hectic when you first arrived. It may be quite hard to find a seat at first, however we managed to secure a table of four in a covered area. Since it is a self-service place, you will need to go into the store and order either from take-away counter or dine-in counter. I guess it would be quite an overwhelming experience for first timer. They will give you an English menu and you can point out what you want. After you are done, you will need to bring the tray and the receipt to the cashier and pay. One of the good things about this place is that you get free water too! 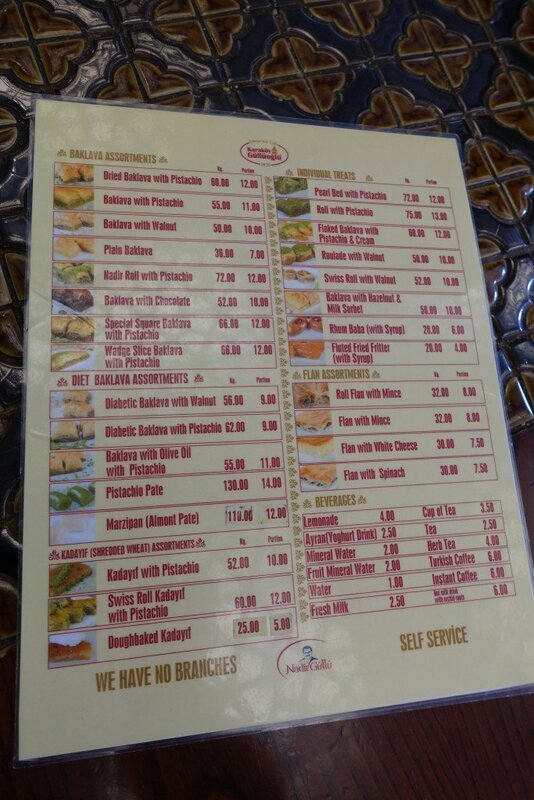 Karakoy Gulluoglu’s English Menu. Just take it to the counter and point to them. Baklava here are made fresh, using the best quality sugars so the taste wasn’t disgustingly sweet. You can also buy the pre-packaged ones in the airport but I think it is best to eat them on the spot. We ordered 2 plates of mixed baklava, from memory it was 15 TL for 6 of them. We should have picked the more expensive varieties rather than the original ones. The expensive ones were double pistachio and was heavenly! They do offer 3 types of savoury products called “Flan” (like layered pastries with mince inside?) However they weren’t as good as the baklava. 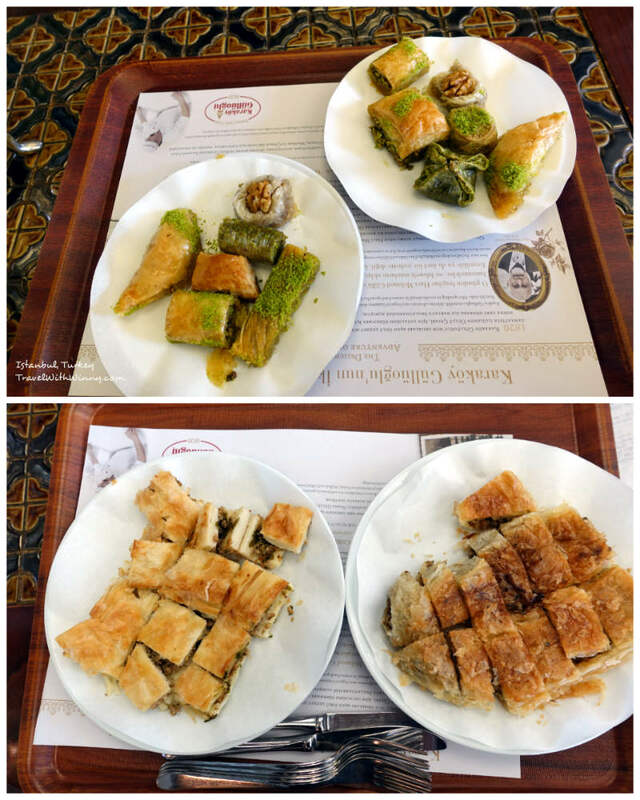 Our huge selections of baklava and “flan”- layered mince. Mind you there are many other “Gulluoglu” places in Istanbul, but it is not related to “Karakoy Gulluoglu” even though it looks the same. 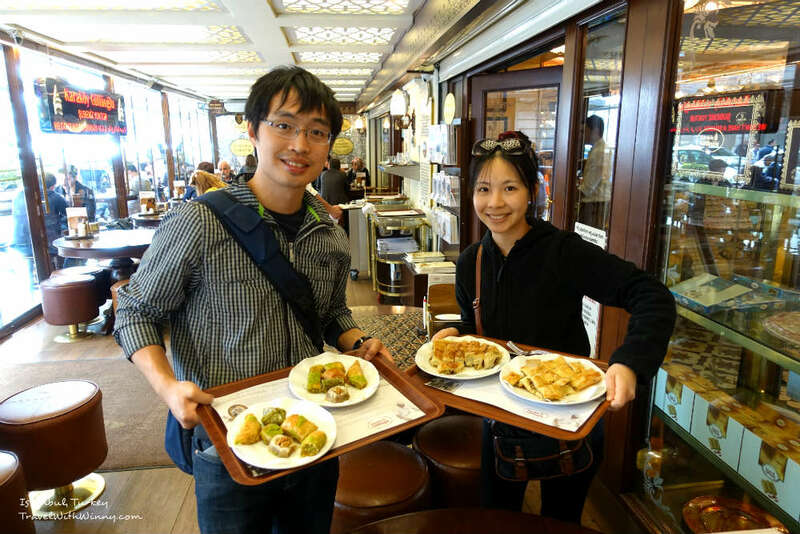 Definitely make your way to Karakoy Station for this most amazing baklava in Istanbul. Self-serve, but it doesn’t matter as long as it tasted good!